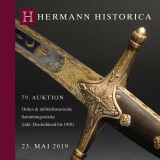 HERMANN HISTORICA GmbH of Munich is one of the leading auction houses worldwide within the specialist fields of Arms and Armour, Firearms, Antiquities, Orders and Decorations, Historical Objects, Historical Militaria and Hunting Collectibles. The company was founded more than fifty years ago in Nuremberg by Count Erich Klenau von Klenova, Baron of Janowitz and quickly achieved renown and the recognition of international collectors and museums. The early auctions of coins and medals were soon supplemented in the foundation years with auctions of ”Orders and Decorations” together with “Collectibles from History and Military History”. 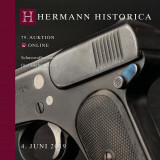 When Wolfgang Hermann joined Graf Klenau oHG in the early 1970’s the existing portfolio was augmented by auctions of “Arms and Armour” and “Antiquities”. A strong client base and dedicated client service, combined with thoroughly researched and elaborately designed special catalogues soon allowed the company to assume an important role in the international market. Wolfgang Hermann and Ernst-Ludwig Wagner jointly took over the company in 1982, re-named it “Hermann Historica oHG” and had a decisive influence on the development of the ever expanding business. In subsequent years Franz Hermann and Thomas Rief also became partners and cemented the dynamic leadership of the company. 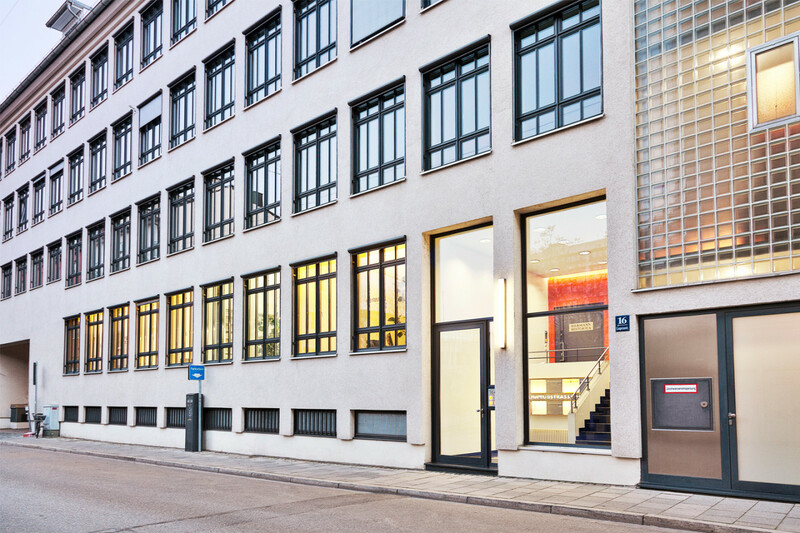 By the end of 2017, Forum Arte GmbH, Germany, acquired a majority share in the company from the previous owners. Today, the auction house with its approximately 40 staff members has cooperations and representatives in many European countries as well as in the United States. 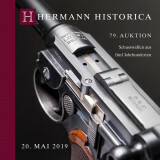 For its more than 40,000 clients worldwide, Hermann Historica GmbH ran two auctions a year until 2018, and is now accelerating this to six auctions annually as of 2019. 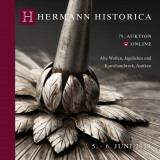 2019 also saw the introduction of a new type of auction, the online-only sale, where all bidding is done exclusively on the internet. Some 14 to 16 thousand collectors’ items are auctioned off, generating an average annual turnover of over 15 million Euros. 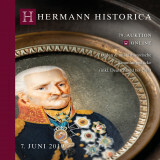 By now, Hermann Historica GmbH can look back on a number of remarkable auctions: High international attention continues to be attracted in particular by the numerous objects from former estates of royal and noble houses and the liquidation of world-famous collections such as the auction sale of the hunting treasures of Castle Fuschl near Salzburg, the much-noticed sale – in cooperation with the famous auction house Pierre Bergé, Paris and Brussels – of the unique collection of ”Arms and Armour” of the Berlin construction mogul, artist and collector Karsten Klingbeil and the “Collection of Antique Greek and Roman Arms” of the real estate entrepreneur Axel Guttmann, likewise from Berlin, the liquidation of the Nümbrecht Museum of Historical Technology as well as those of various collections of the Centre of Extraordinary Museums in Munich. 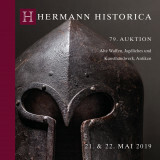 Since 2008, auctioneering has also taken place in France, where Hermann Historica liquidated the famous military museum “Musée Militaire de la Poche de Royan” above Bordeaux, in 2009 followed by the equally spectacular auction of the “Musée Militaire de la Seconde Guerre Mondiale – La Percée d’Avranches”, one of the most important private museums of the Normandy with its thematic fields including the Americans’ decisive battle of 1944.